Building for a better tomorrow. We are passionate about creating the space you want to live or work in. We also care deeply about good craftsmanship, beautiful, livable spaces, and green building, whether you are maintaining the craftsmanship of an older home, or pushing the envelope with forward-thinking design. We work with you and your architect to help you realize your vision, and minimize your ecological footprint at the same time. Our approach is to build for the future. First and foremost, this means building to last, with quality materials and quality workmanship. It means investing in customer relationships â€“ once weâ€™ve done work for you, we hope to be your first call the next time you need something else done, large or small. We believe in incorporating an earth-friendly approach into what we build and how we build it, so that it doesnâ€™t have to cost you more. You may experience your home as uncomfortable or drafty. Maybe your kids (or you!) canâ€™t run around barefoot without getting cold. 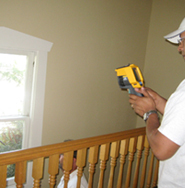 We help you assess where your home leaks energy and then identify the best bang for your buck to make it more comfortable and save money on your energy bills. We may surprise you by finding less expensive ways to do this than replacing your windows.Â And of course weâ€™ll guide you to take full advantage of rebates or tax incentives for any work that you do. By making your home more energy efficient, you are not only making it healthier and more comfortable, you are also reducing your homeâ€™s carbon footprint. Our homes represent a huge part of our energy use and can often be responsible for more carbon emissions than even our cars. We want you to enjoy the remodeling experience. Thatâ€™s about getting your project done on time and within your budget, always communicating well with you so you know whatâ€™s going and whatâ€™s coming up, and minimizing the mess you have to experience. We respect your time and your budget. Our proposals include detailed scope of work, timelines, milestones and details about what decisions or purchases you will need to make. If new needs come up during the project, we have a simple process to get written approval of any scope or cost changes. Weâ€™re used to working with our customers to be creative during the proposal phase about ways to get the most important work done in the most cost effective manner. We know youâ€™re busy, so you can communicate with us by email, phone or fax â€“ whatever makes it easiest for you. Sometimes we are asked, â€œBut do you do small jobs?â€ In our experience, few jobs feel small from the customerâ€™s perspective, so every job gets treated the same. 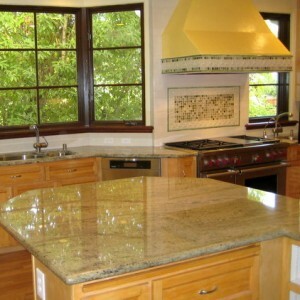 We do full remodels or more isolated projects like plumbing, electrical, painting or building decks. When we get a call from a customer to see if we can do maintenance or repairs, we interpret it as a sign of trust in our work and of the value of our ongoing relationship. And finally, itâ€™s your home, so we do everything we can to clean up after ourselves, minimize the disruption to your daily life, and work around your schedule.